The WSSA Board is excited about our 2018 Annual meeting program with more than 400 science presentations and posters and we hope you will join us for a great week in Arlington January 29th to February 1st, 2018. We have decided to extend the Early Bird registration for an additional week. The new early bird deadline is December 19th. On December 20th the registration rate will increase for full registration. The meeting registration includes a complimentary one-year WSSA Membership for 2018 with access to our three scientific journals. WSSA Program Chair Scott Senseman has put together an exciting agenda for the meeting. The meeting will open with a very interesting general session and awards presentation Monday afternoon, followed by a society reception. 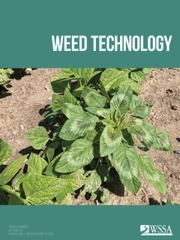 In addition to the hundreds of weed science posters and presentations, there are six outstanding symposia scheduled for the 2018 meeting.They are: “Fostering Sustainable Programs to Improve Pesticide Applications and Promote Resistance Management,” “Grade Report for New Dicamba Technology in 2017,” “Pesticide Registration in the U.S. and How the WSSA Can Inform the Process,” “Herbicide Metabolism in Crops and Weeds: A Revisit, Current Understanding, and New Insights,” “The State of the Weed Control Industry In 2018,” and “Learning by Listening: Herbicide Resistance Listening Sessions”. 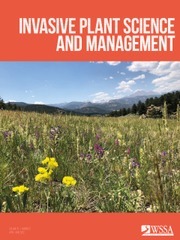 In addition to these symposia, there will also be a great weed science teaching workshop and the graduate students have organized a provocative workshop to facilitate discussions on “Which Road to take -an extension, education, research and industry perspective,” which should be of interest to all students attending the conference. 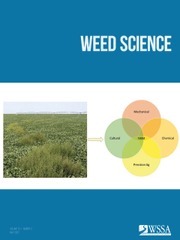 We are offering two tours this year as well as the new Women in Weed Science breakfast. The WSSA website has all the links needed to register for the Meeting as well as a link for hotel reservations in the WSSA room block.